Propane is an excellent energy source for your home — both inside and out. This clean-burning energy source delivers uncompromised comfort and value. Homeowners can count on this environmentally friendly, low-carbon fuel to meet their energy needs, even when the electrical grid is down. 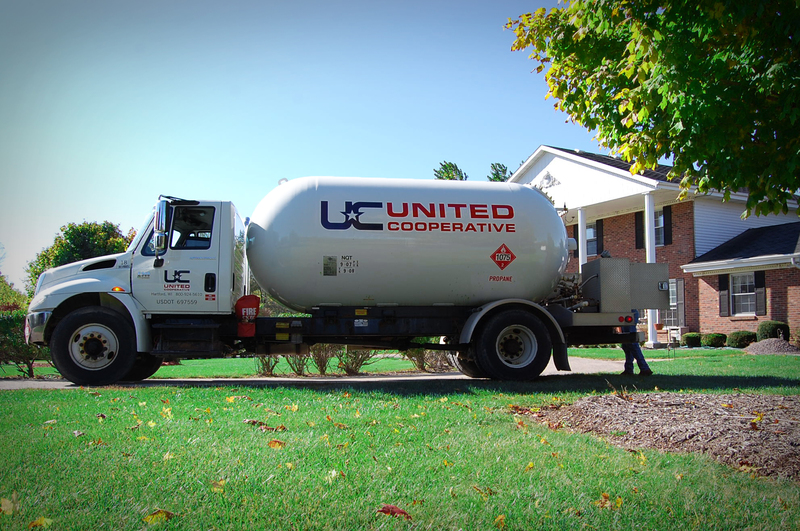 United Cooperative provides quality propane that’s clean, efficient, reliable and affordable. Propane is a safe, worry-free heating option for your home, farm or business. At United Cooperative, safety is our number one priority for our customers and our employees. We are dedicated to protecting you, your family and your property. United Cooperative Propane Safety Newsletter is mailed annually to customers to provide consumer information about the safe and responsible way to use propane as an energy source. Propane heat is a major selling point when buying a home. As an affordable, cleaner alternative to oil, it’s the fuel of choice among a growing number of homeowners. Cheaper than electricity and more efficient than natural gas, propane heat is something you should look for when house hunting. That being said, buying a house with propane also brings a number of factors you might not have otherwise considered if you are accustomed to gas, oil or electric heat. Propane is an incredibly versatile fuel. In the home, it is most commonly used for heating and powering certain appliances. Stoves, barbeques, water heaters, clothes dryers and more can all run off propane. If the home has only been recently converted to propane, however, not all appliances may be using it. When making an offer, consider whether or not you’ll need to upgrade the appliances to take full advantage of propane. About 25% of homeowners own their propane tank outright, while others rent it from a fuel company. Both arrangements have pros and cons. With a tank that is owned outright, there is no need to worry about budgeting for monthly rental fees. You’ll also have more freedom to make long-term decisions about your home’s fuel use. The downside to this, however, is that purchasing a tank can be a significant cost up front, so that cost will definitely be factored into the asking price for the home. On the other hand, the main advantage to renting is that you’re not responsible for the maintenance of the tank. If the unit ever needs repairs or replacing, it’s not an expense you will have to worry about. Most fuel companies will happily transfer over a tank rental agreement when the house is sold. The larger your tank, the longer you can go before having a delivery scheduled. Home propane tanks range in size from 120 to over 1,000 gallons. Be sure to ask what size the tank is so that you know how often you’ll be in need of a refill. Call 1-800-924-2991 to lock in your home heating propane price until Spring 2018. Lock-in a fixed price and spread your payments for home heating into manageable, equal, monthly amounts from July to May. There is a small booking fee with this plan, but, it’s still extremely helpful in managing your budget. Note: If you had the budget plan last year, you don’t need to sign-up every year; contracts automatically go out in mid-June. Only call if you want to change your plan. Lock-in a fixed price and pay for your fuel as it is delivered. This helps you know exactly what your fuel will cost per gallon when you order it this winter. The small booking fee applies with this plan, as well, but there’s a sense of security knowing your exact cost per gallon. Lock-in a fixed price for the season. Pay for your heating fuel now, and receive scheduled delivery. With this plan, you don’t have to worry about your heating needs at all this winter. Make automatic payments on the 10th or 26th each month. With each new customer referral, United Cooperative will give both, the current and new propane customer a $50 United Cooperative Gift Certificate. When you refer others to United Cooperative, you are letting us know that our reliable service is something to be communicated, so we want to thank you for your loyalty and thank our new customers for their trust. Referred customers must lease a tank from United Cooperative to obtain eligibility for both the new and existing customers. Propane is also used to power vehicles, grain dryers, irrigation engines, building/water heating, and standby generation. See also our Propane page for more details.